We woke up to a clear morning…the way it is in autumn- Cloudless sky with crisp morning Sun that is pleasantly warm. 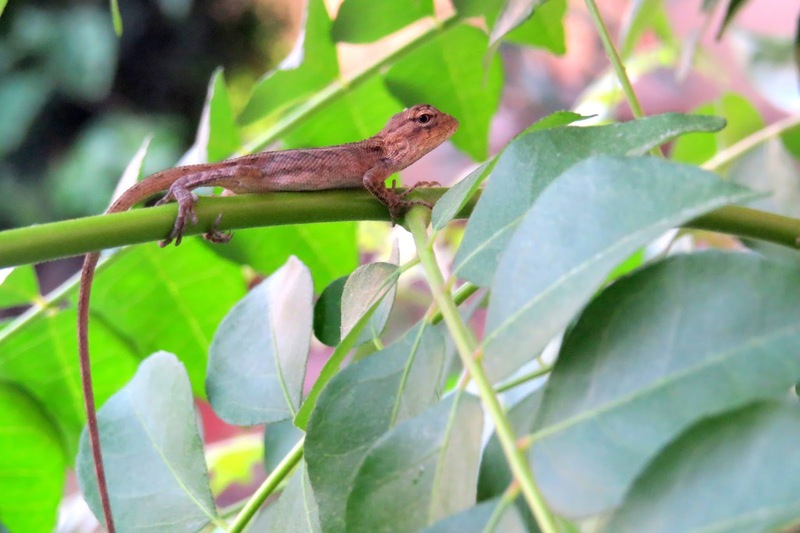 A swarm of dragonflies buzzed around our pond, getting the attention of a baby garden lizard hiding in the curry leaf plant. Its tiny head moved in sync with the movement of the dragonflies which it assumed to be its prey but was too reluctant to dart and grab one, or was still learning the nuances of hunting. By afternoon, some stray clouds gathered and rumbled. They rumbled and rattled with flashes of lightning followed by deafening thunder. Soon there was a good downpour. 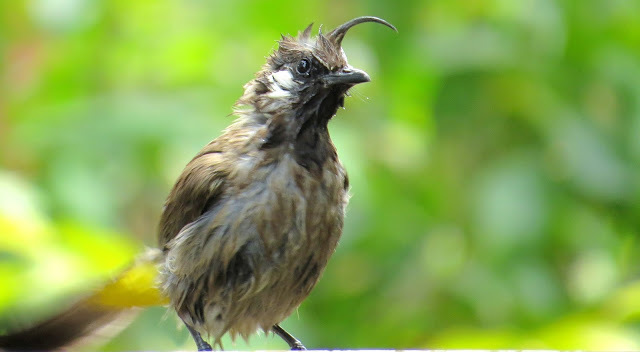 A white-cheeked bulbul sang in the branches of the mango tree, enjoying the rain. Plan of baking a whole wheat bread was tweaked a bit. Instead of regular loaf, a batter bread was baked. Just one rise and a yeasty loaf is ready for dinner. Simple and easy recipe that comes in handy when you have less time and you want to bake a bread. I used honey in place of molasses, maple syrup, dark corn syrup, or brown sugar corn syrup. My requirement of water was also slightly more. Heavily grease one 8 ½ inches x 4 ½ inches loaf pan. Sprinkle cornmeal or whole wheat flour. Combine all the ingredients. Beat the mixture well. Ensure a homogenous texture. I used a steel ladle. If you are using an electric mixture, set at a high speed. The dough will be very sticky. Scoop it into the prepared pan. Keep the pan in a warm place. Cover it with a greased plastic wrap. I kept mine inside the oven without the wrap. Let it rise for an hour or till it crests slightly above the rim of the pan. In the last stages of rising, preheat the oven to 180 degrees C.
Bake for 45-50 minutes. Tent with aluminum foil after 20 minutes. The top should turn golden brown. Cool in the rack. Slice when cold or slice next day. Namita, Iam a great fan of your recipes. For this particular one may i know which brand atta you used. I tried many times and floped. I m very much interested to bake whole wheat bread. Hi Kani, Thank You for visiting my blog. For my whole wheat breads, i use brands like Aashirvaad or Pillsbury. Even local atta sourced from hills gives a nice loaf. Bread baking does give heart aches in the beginning. Once you understand the nuances, you get addicted to it. Hope you get your loaf right and enjoy baking. Namita, thank you so much for your reply. I tried both of your whole wheat oats bread as well as fruits and nuts bread. It came out well . Very good recipe. I tried with Ashirvad atta. Thank you so much for sharing your recipes. Btw , can I I have your e-mail I'd? Hi, You may use the same quantity of active dry yeast as mentioned in the recipe. You will have to activate the yeast first. Take 1/4 cup warm water and dissolve 1/2 tsp of sugar. Add yeast. stir. Cover and leave for 15 minutes. It should foam. Add it to the batter along with remaining 3/4 cup water. Happy Baking! Thanks Lovely. Hope you bake this one and enjoy ! Hi! I tried this yesterday and turned out to be good, infact very good. thanks for sharing this ! enjoy your blog. pls. keep posting and U r helping the naive one's like us! Hello Leena, welcome to the beautiful world of baking breads. Leena, i have never baked in a microwave. I am not too sure. But I think you can bake bread in convection mode. Hi namita, i started following ur blog very recently. I admire the breads hv made. Even im very fond of baking n cooking bt im very new into this kinda cooking though my family thinks im great at cooking the usual menu like dals subzis n rotis. In ur last comment u hv written that u dont use a microwave. Can i pls tell my what do u use fr baking and whats the size of ur machine. I own both micro with convection and a small OTG. Hi Babbupreet, thank you for visiting my blog. You must bake breads. Its a wonderful experience. I use Bajaj OTG 20 L. It bakes two loaves at a time. Morphy Richards is a good brand and is very popular these days. You may use the OTG that you have. Breads come out well in OTG. Happy Baking! Thank you for sharing such a wonderful recipe! Easy to prepare and tastes delicious even without a spread! Thank You Shivani, I hope you try out my recipes and enjoy them. Thank You for visiting my space. 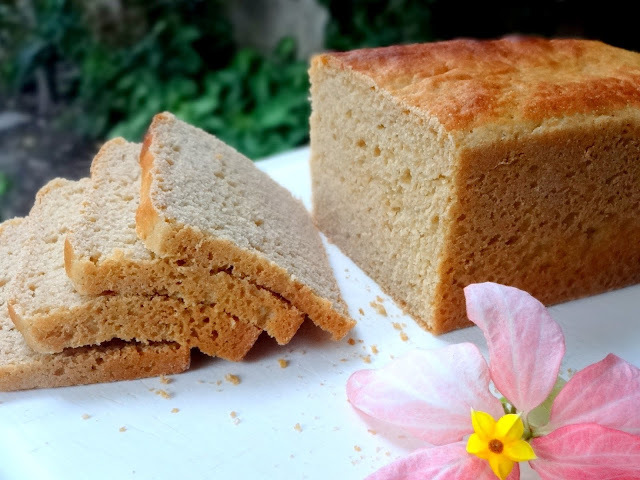 Hello, I wanted to try a no knead bread, what do you replace orange juice n milk powder with? Will 1/2 cup milk do? I have baked your bun recipe with whole wheat flour but it's not soft. Have you tried vital gluten ? Does it come soft? Thanks for your help. Hello Binu, you may go ahead with milk. Orange juice actually reduces the bitterness of whole wheat. I have never used vital gluten. I have heard that it makes whole wheat breads soft. Whole wheat buns will be dense. 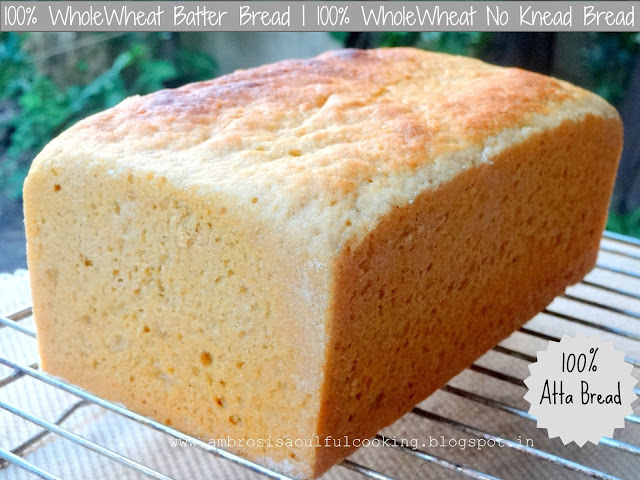 Go for 50 % whole wheat only.